One afternoon, Anthony arrives unexpectedly at classmate Caroline's door bearing a beat-up copy of Walt Whitman's “Leaves of Grass,” and an urgent assignment from their English teacher. Homebound due to illness, Caroline hasn't been to school in months, but she is as quick and sardonic as Anthony is athletic, sensitive, and popular. As these two let down their guards and share their secrets, this seemingly mundane poetry project unlocks a much deeper mystery that has brought them together. 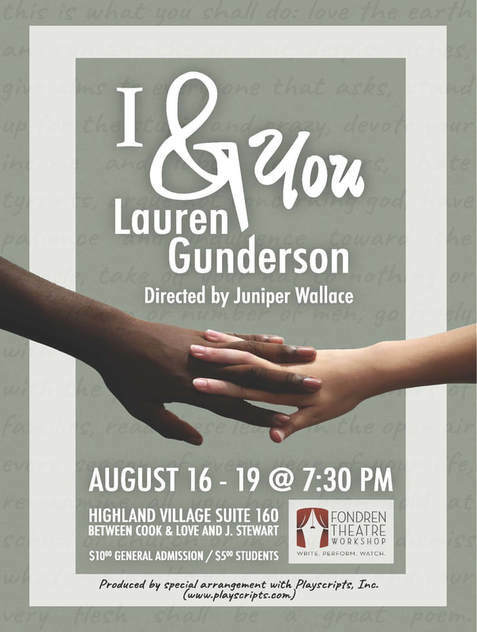 “I and You” is an ode to youth, life, love, and the strange beauty of human connectedness. Winner of the Harold and Mimi Steinberg / American Theatre Critics Association New Play Award ( 2014). Tickets $10.00 cash at door; $5.00 for Students 18 and under. Rated PG for some mature language and subject matter. 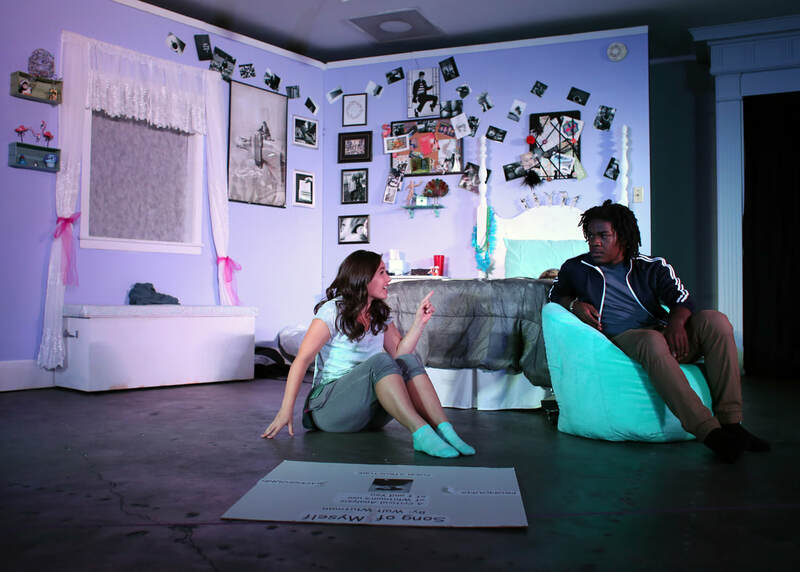 This production will feature a special abbreviated script that has been adapted for presentation at the 2019 MS Theatre Association Festival, with a runtime of just under one hours with no intermission. 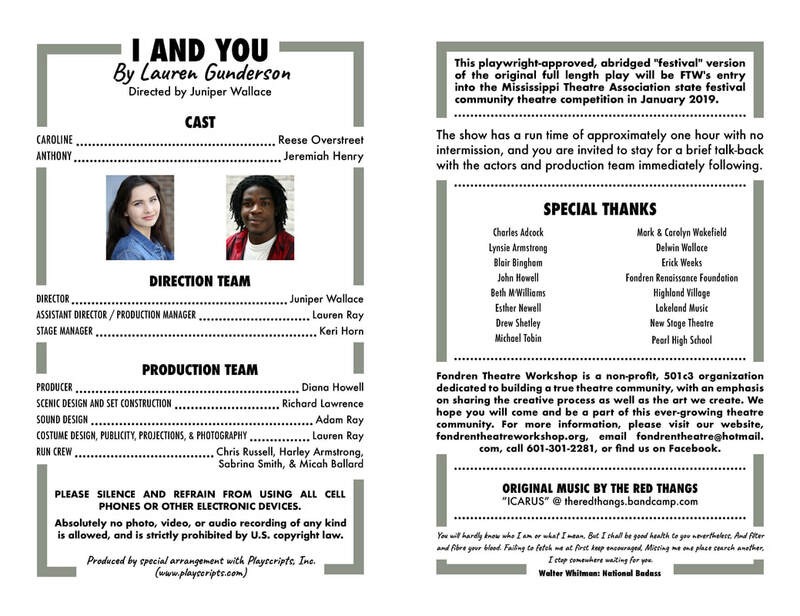 Audiences are invited to stay for an optional "talk-back" with the actors and production team immediately following.